The Sole Softec Response offers custom cushioning and support for medium to tight-fitting footwear. The benefits of our orthopedic shape are personalised for your unique foot. The Sole Softec Response offers custom cushioning and support for medium to tight-fitting footwear. The benefits of our orthopedic shape are personalised for your unique foot. The arch height adjusts to your required level, but does not flatten out. The forefoot takes the shape of the balls of your feet and toes, and the aligning heel cup supports your unique heel shape. This creates a continuous contact point across the soles of your feet, leaving no area unsupported. It all adds up to a superior fit, and unrivaled support and comfort. 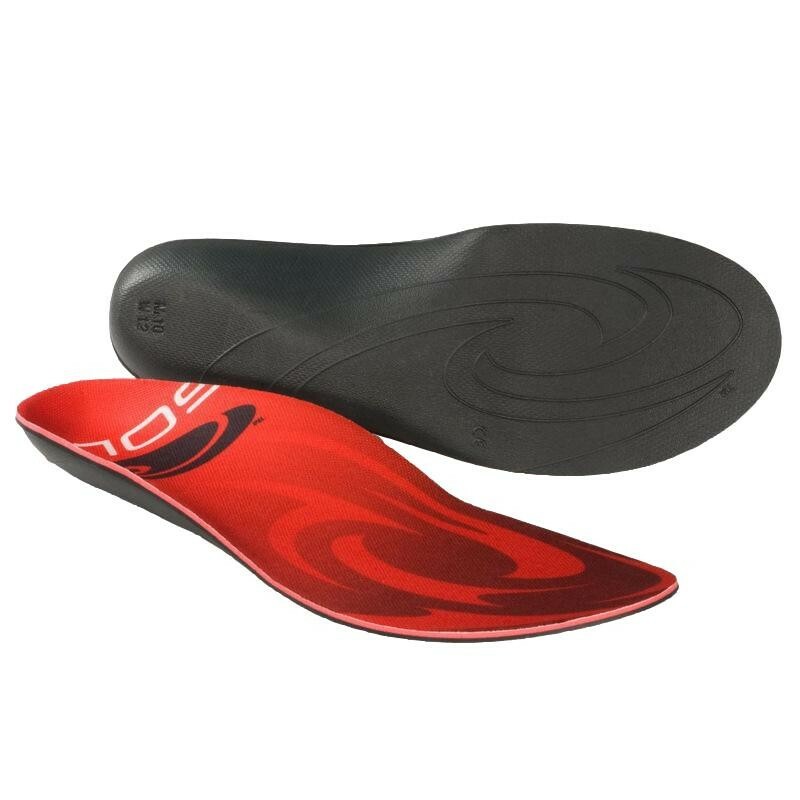 All Sole insoles are heat moldable for a custom fit, simply follow supplied instructions. Recommended uses: running shoes, walking shoes, football boots, tennis shoes, ski boots and snowboard boots. Sold in full sizes only. If you are a half size, choose one size up and trim the footbed to fit.